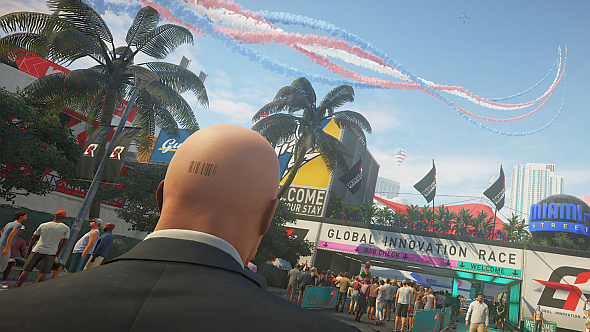 Hitman 2016 had each of its stages released episodically. Barring a hiatus in the summer, each episode landed roughly one month after the last. Announced to a certain amount of scepticism, the bold structure won over most of its critics – it was generally felt that the extra time spent in each level gave players that much more opportunity to appreciate developer Io’s brilliant design. But Io is dropping the episodic structure for the sequel, so when we got the chance to speak with executive producer Markus Friedl at E3, we had to ask why. For more satisfying intermeshing of game mechanicsc check out the best sandbox games on PC. “We are releasing all six locations that we will have in Hitman 2… on November 13,” Friedl says. “Players can go through the main game and the story at their own pace – as slow, as fast, as much replay or as little replay as they want. And has releasing the game in one chunk affected its design – perhaps by making Io think about it more holistically? So that’s good – hopefully we can expect another six episodes of top-quality stealthy murder. It’s just that this time around we’ll have the option to rush, and slowing down to enjoy it all properly will be a question of willpower. You can check out Hitman 2 on Steam, where pre-orders are already live. If you missed any of the Hitman 2 news, you can catch up on the story premise, trailers, screenshots, and more with our guide.